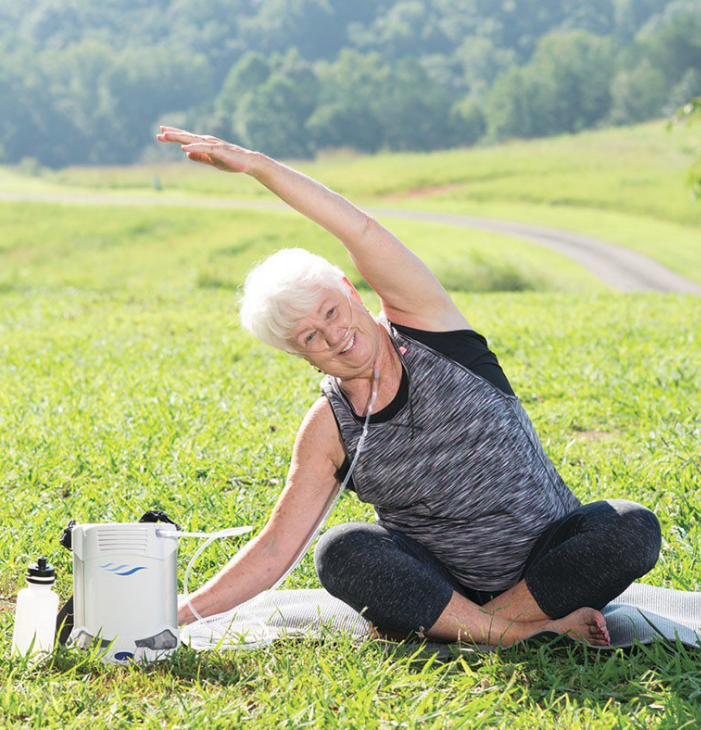 The Caire FreeStyle Comfort Portable Oxygen Concentrator makes travel and activity outside the home comfortable and easy. The FreeStyle Comfort weighs in at only five pounds and is designed with a slight curve for an ergonomic contour to the body as it's held. 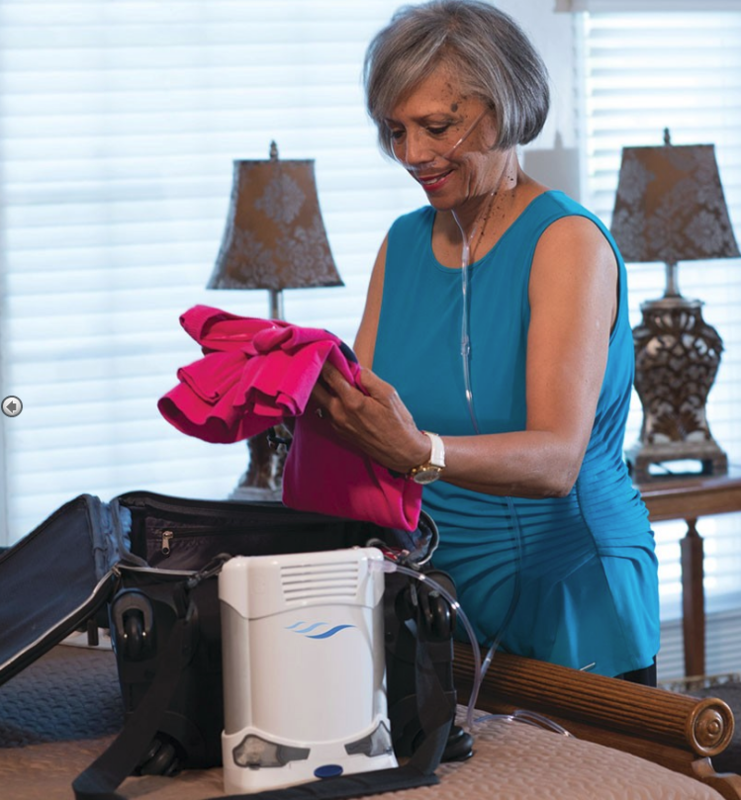 This Portable Oxygen Concentrator comes with a convenient carry bag with a non-slip shoulder strap so you can confidently keep it in place when shopping or traveling. The interface is easy to operate with simple, one-touch technology to start the device. 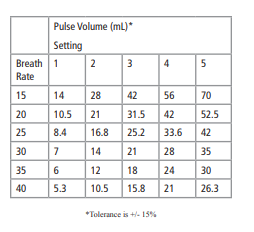 User chooses pulse dose setting that ranges 1 to 5 with the increase (+) or decrease (-) flow buttons. 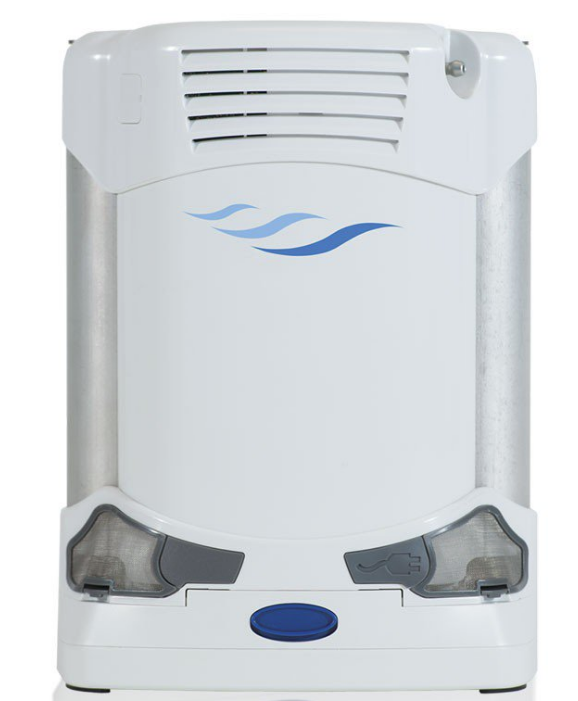 Within minutes the device begins to deliver the oxygen with a maximum output reaching 1050 mL per minute at setting 5. 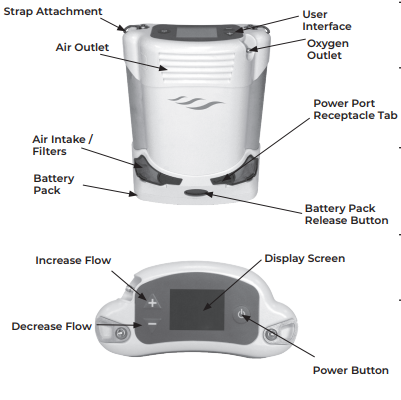 Caire uses the latest pulse dose technology called UltraSense which matches the user's breathing rate to ensure the oxygen delivery is efficient by delivering oxygen at the beginning of the breath. The interface screen clearly displays flow setting and remaining battery life so you always know when it's time to either charge the battery or change out the battery. The battery pack easily slides into the bottom housing when changing it out. 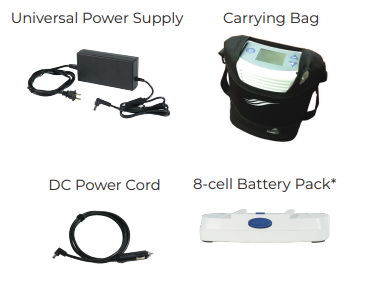 You may also opt for charging the Freestyle Comfort Oxygen Concentrator using the provided AC and DC Power cords. 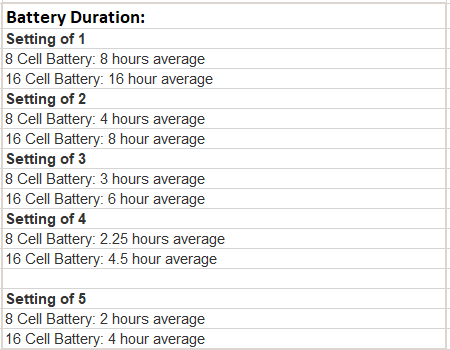 What you can expect with battery life is up to 4.25 hours at pulse setting 2 and up to 8.5 hours with the double 16 cell. It's important to note that a fully charged battery will deplete when installed, even when unit is unused. Always remove the battery from the concentrator and store in either its original packaging or by insulating terminals to prevent short circuits. In terms of sound level generated, at setting 2 it reaches sound level of 43 dBA. If you are an avid traveler, the FreeStyle Comfort is FAA certified to be used on board in a commercial aircraft. The FreeStyle Comfort POC is available in three options depending on the battery you prefer. 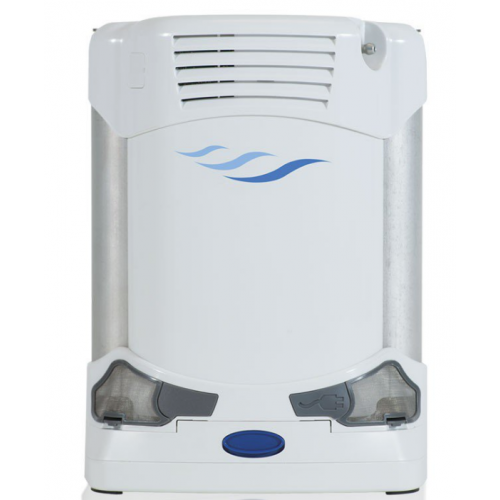 The AS200-1 comes with one 8 cell battery, the AS200-101 is double capacity and has a 16 cell battery or you can opt for two single 8 cell batteries. Each battery type is certified up to 300 cycles and comes with a 1-year warranty. Caire also certifies the unit providing a manufacturer 3-year warranty and an additional 1-year warranty on power cords. 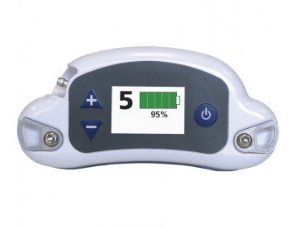 If you find the sound level is not for you, check out another pulse dose portable unit Inogen One G3 that's slightly lower at 39 dBA at setting 2.